When picking out a VR system it’s important to weigh the cost, PC and console compatibility, visual specs, and what types of game titles you like the most. We’ve compiled a list of the best virtual reality headsets you can buy right now. The Vive Pro is a premium VR headset that works with PCs and is the newest peripheral on the market. Vive Pro is compatible with both Steam VR 1.0 and 2.0 tracking for controllers and base stations. With 2.0 base stations reaching as far as 10 m x 10 m, which used to be 5 m x 5 m for the original Vive. This iteration of the Vive will also have a chaperone system to keep you aware of your safe zone and can be turned wireless with an adaptor, so you can play active titles like Soundboxing and Holopoint and cover more area. This headset comes with a dual AMOLED screen, has 2880 x 1600 total resolution, 90 Hz refresh rate, and a wide 110-degree field of view. The Wireless Adaptor will turn this high-end headset into one that can be used in arcades, gyms, warehouses, studios, and large open spaces. Before purchasing the Vive Pro run a PC check to make sure your current PC is compatible with it. Accessories: Wireless Adaptor, Vive Tracker (2018, 2.0 version), Vive Deluxe Audio Strap, Racket Sports Set, extra controllers and base stations, check their site for updates. Price: $799 Vive Pro headset only, $1,099 Vive Pro Starter Bundle comes with Pro headset, 2 Vive 1.0 controllers and 2 1.0 base stations; accessories are extra. The HTC Vive is a high-end, PC-compatible VR headset that comes with 2 controllers and 2 base stations for tracking. The Vive can be played sitting, standing, and in 15 feet x 15 feet room scale space to explore virtual worlds in and a chaperone system that will keep you from walking into walls when you play exhilarating and active games like GORN or Superhot VR. It has dual AMOLED display, 2160 x 1200 total resolution, 90 Hz refresh rate, and a field of view of 110 degrees. This model is not currently wireless but will be getting a transformational Wireless Adaptor this year and is supported by the TPCast wireless adapter as well. Before buying, go to the Vive webpage to run a PC system check to make sure your computer has specs that will run the Vive system. Accessories: Vive Trackers (1.0 version), Vive Standard Strap, Vive Deluxe Audio Strap, Racket Sports Set, Nose Rest, Face Cushion, 3-in-1 Cable, Base Station, Controllers, Link Box. Price: $599 for HTC Vive; accessories are extra. The Oculus Rift is another top level, PC-enabled VR headset that has 2 controllers and 2 sensors for 360-degree tracking in a 5-foot x 5-foot space. It can be played sitting, standing, and in 8 feet x 8 feet room scale with 3 sensors. So, you’ll have the freedom to sit or stand to enjoy cardio-intense games like Sprint Vector, Box VR, and lots of other fun titles. The Oculus Rift comes with OLED display, 2160 x 1200 total resolution, 90 Hz refresh rate, and a field of view of 110 degrees. The Rift is not wireless as is, but you can get a TPCast wireless adaptor for it to make it so. Before jumping in head first make sure your current PC has specs that are compatible with the Oculus Rift by going to the site and running a system check. 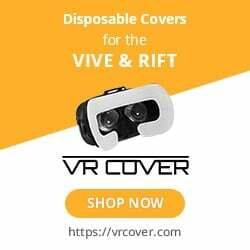 Accessories: Touch Controllers (Left or Right), Oculus Sensor, Oculus Rift Earphones, Oculus On-Ear Headphones, Oculus 4-Meter Headset Cable, Oculus Rift Fit Facial Interface, Oculus Remote, Rock Band VR Connector. Price: $399 for Oculus Rift; accessories are extra. Please note: Microsoft’s Windows Mixed Reality headsets are not mixed reality (MR) headsets, they are for virtual reality. There are 6 total VR headsets that Microsoft carries in their store: ASUS Windows Mixed Reality, Lenovo Explorer Windows Mixed Reality, HP Windows Mixed Reality, Samsung HMD Odyssey Windows Mixed Reality, Dell Visor Windows Mixed Reality, and Acer Windows Mixed Reality. Out of the 6, the Dell Visor and the ASUS Windows Mixed Reality headsets are both PC-compatible VR headsets that have received a lot of attention online. Both come with 2 tracked motion controllers and decent facial padding for intense gaming sessions in Racket: NX and Holodance. The ASUS and the Dell Visor both have a high-resolution 1440 x 1440 display, 90 Hz refresh rate, 105-degrees field of view, and a really cool hinged display so you can take visual pauses as you see fit. The best part of these headsets is the inside-out tracking and six degrees of freedom that involves no extra sensor setup! Plug it into a computer and play on! As always, make sure you test your computer to see if it’s compatible with the headsets. Accessories: You can buy Vive and Oculus products in the Microsoft Store; currently they do not have replacements for their own controllers listed on their site. Prices: $399 for ASUS WMR and $449 for Dell Visor WMR. The PSVR needs a PlayStation 4 instead of a PC to run its system. The PSVR comes with 2 Move controllers and a camera that will track your movements. The headset comes with an OLED display that has a 1920 x RGB x 1080 resolution, 120Hz to 90 Hz refresh rate, and a field of view of 100 degrees. You can play PSVR games standing up or sitting down due to their suggested camera placement. Gamers recommend that you use a swivel chair for seated VR games. The PSVR Play Area is 6.2 feet x 9.8 feet of space so you can have room to play games like Sparc and Knockout League in VR and still move, throw, or punch. PSVR is not wireless. Accessories: Aim Controller, PlayStation Camera, PlayStation Move Controllers, Storage Case, Deluxe Carry Case, Charge and Display Station, PS4 Controller. Price: $299-$399 for DOOM VFR Bundle, $349-$449 for The Elder Scrolls V: Skyrim VR Bundle, $299-$399 for Gran Turismo Sport Bundle; $300 PlayStation 4; accessories are extra.